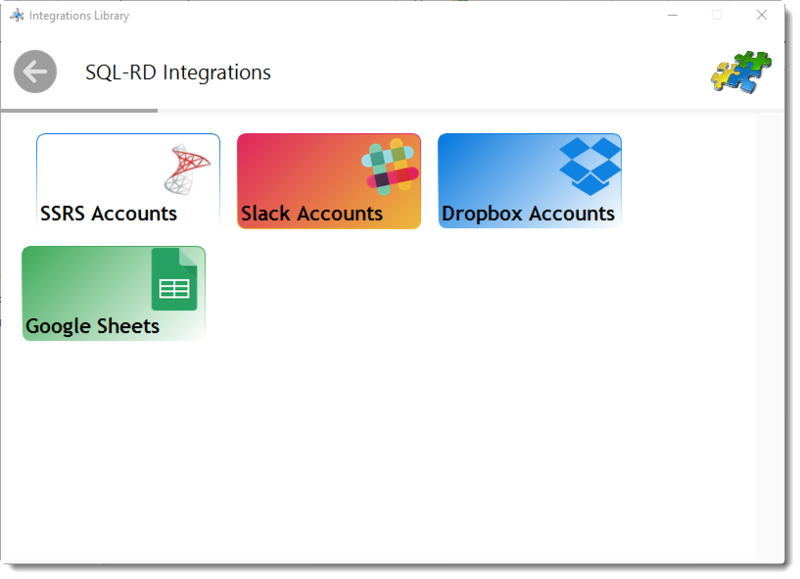 How do I create and manage integrations in SQL-RD? This is where you can add and manager your clouds accounts associated with SQL-RD. Associating your cloud accounts gives SQL-RD access to reports you wish to schedule. SQL-RD will use stored credentials to access and export reports.